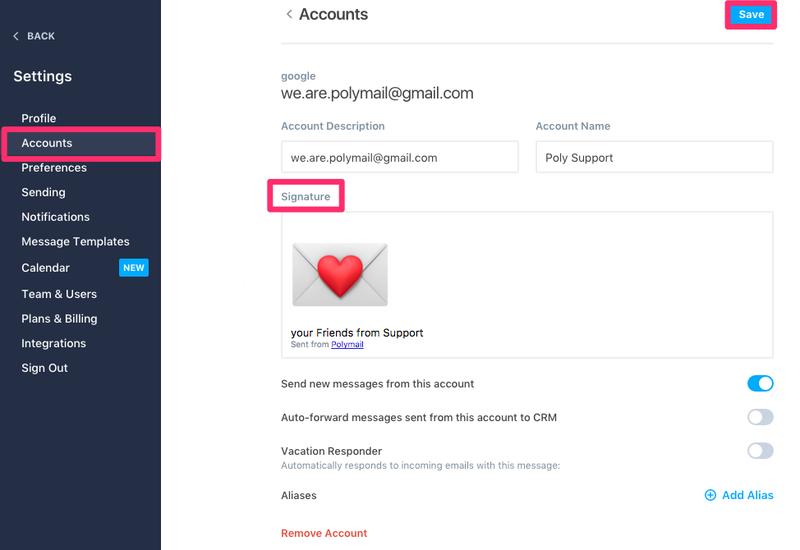 Polymail allows you to create signatures for your email accounts and for any aliases you have added to your account. This is true for both our free and paid users. If you're only interested in text, enter whatever you would like. Click the blue Save button in the top right corner to save your changes. 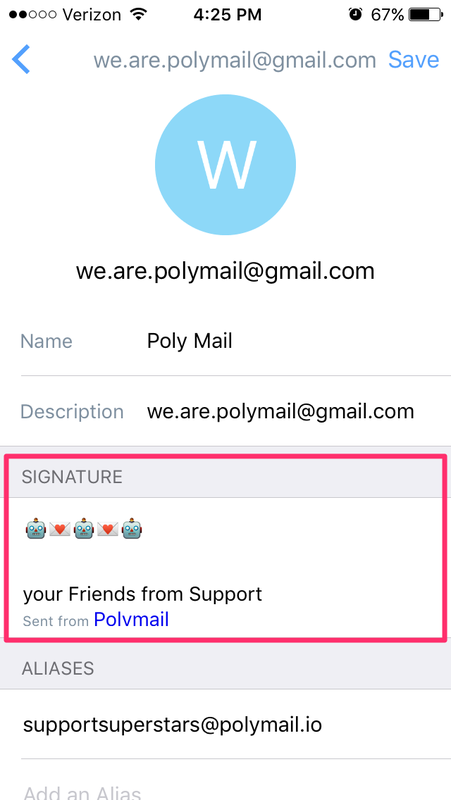 under your name and email address, you'll see a Signature field. You can copy and paste an image into this field or edit the text. If you would like to change the signature for your alias, you will need to do so on our our Web or macOS apps. 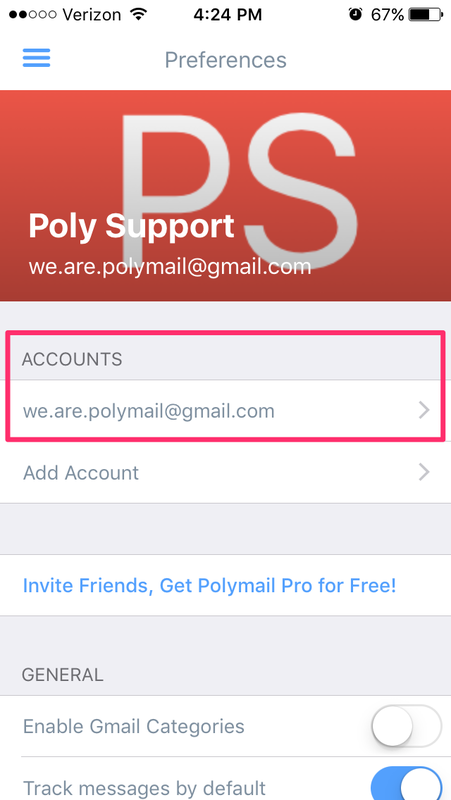 Check out the Alias section beneath the email addresses you've synced with Polymail. Find the alias you would like to create or edit your signature for, and click into it. A new window will appear with your current alias details and signature field. 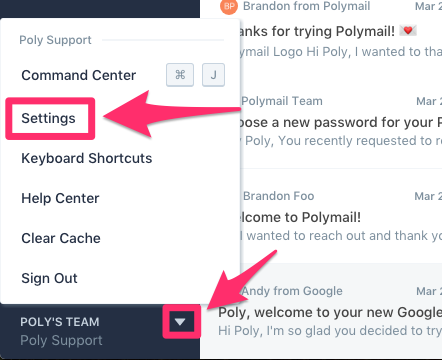 Feel free to change anything you would like (you can even remove "Sent from Polymail"), and then click the blue "Save" button to complete the process. 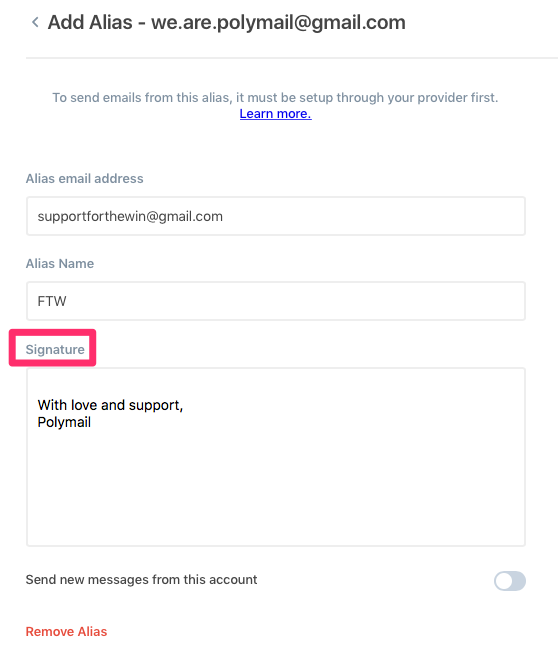 Please note that we don't support images in the alias signature field right now. Note: you will only be able to do this in our Web and macOS apps. We do not have the ability to edit alias signatures on our iOS app at the moment.